Creating your ideal living space is an evolution — a journey. Whether you’re looking to teach your beloved old pieces a few new tricks or completely starting from scratch, our fresh perspective will reveal unexpected new relationships between your favorite things for a home that welcomes, functions, and tells your story — beautifully. Known for refined and distinctive, yet comfortable, livable spaces, Bryant Park Designs will create a vision for your space inspired by your unique personality and style. By thoughtfully allocating your budget, we curate an assortment of custom and retail pieces, antique and vintage finds, and the latest prints and textiles for an expressive and livable home you’ll never want to leave. 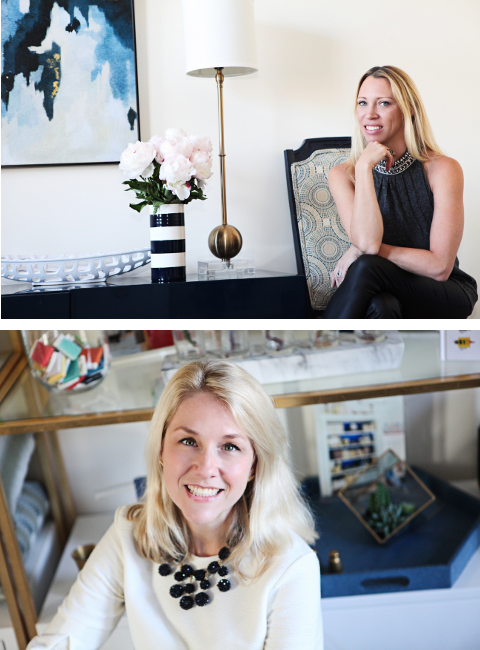 Located in Winchester, MA, Bryant Park Designs, is a full service interior design firm founded by Becky Tellefsen and Deborah DePeter in the spring of 2010. Fueled by the positive response to our design Blog “Living Livelier” and features in recent publications, we enthusiastically execute diverse projects throughout the Boston and NY metropolitan areas and beyond. "When my husband and I bought our forever home, we knew we would need help to turn the house into the home we always wanted. Bryant Park Designs were the people to help create the perfect space for our family. Becky and Deb were able to take the vision from my head and make it possible in our home. They were easy to work with and understand how to balance the aesthetics we wanted with the reality of our life with young kids and they messes they make. They worked through the big design decisions as well as the small and appreciated all of our feedback. I can’t thank Becky and Deb enough, they thought of every detail and really made it a fun project instead of a chore." Laura D.
"I highly recommend Becky and Deb from BPD. So far they have helped me decorate my master bedroom, living room, dining room, powder room and both kids' rooms. They will work around the items you already have that you love, and help you add pieces that are a combination of new and used/restored. They know all of the tricks of the trade and all of the right people for the custom work. I think they know what styles suit my personality even better than I do. And they're so easy to work with. When I'm in the mood to get really involved in the decorating process, they let me, but when I want to step back and let them take care of things, they do so seamlessly." Shira D.
"Deb & Becky are fabulous to work with, have a terrific sense of style, and are organized and professional in their approach. They helped us with our living room and our dining room and we were so happy with their work that we hired them again to decorate our family room, which is in progress now." Jen W.